At the request of apartment/urbanization occupants, the authorities are culling the homeless cats of Benalmadena, Spain, including ones which have been neutered. A lady by the name of Kelly Dooley spends all her spare time, as well as money donated by local residents, bar owners, people online, etc. trapping, neutering & then returning the cats. A large number of the cats, between 20 - 25 of them, are currently staying in Kelly's flat whilst she gets them the necessary veterinary care & tries to arrange fostering & adoption. She is doing everything she can to help these cats and find them homes, but meanwhile the government is intent on killing them all. Pressure is needed to stop the authorities from sanctioning the killing of domestic animals that through no fault of their own — usually because they have been abandoned by their owners — have been left to wander the streets. At the present time, other than a local charitable group called GAB (Grupo Animalista Benalmadena), there are no organisations in Spain to support people like Kelly & GAB in their work. There is no RSPCA, no PDSA, etc. Perhaps it is time the authorities in Benalmadena, Spain, considered providing some funding to assist Kelly & GAB in the important work they do to help the street cats. There was some good news recently. In December 2019, the Mayor & Council of Benalmadena proposed & passed 'sacrificio cero, which meant Benalmadena became a municipality with zero sacrifice in animals. Unfortunately, this does not include homeless cats within urbanizations. 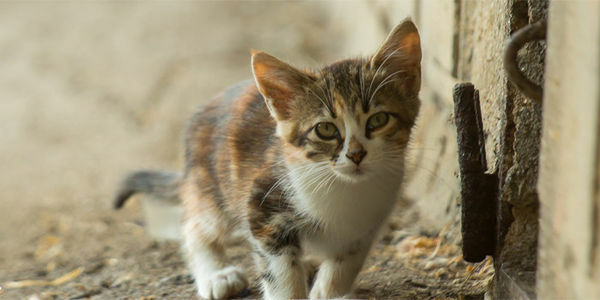 The killing of Benalmadena's homeless cats within urbanizations is decided by a vote! The residents within the urbanization are not happy with the cats being there, but do they try to help & protect these animals? No! They convened a committee meeting & instead of helping these animals, they decide to have them 'removed'. The President of the association contacts the administrator, who then contacts the town hall, which in turn contacts the 'killing station'. The killing station will then put out traps to catch any poor animal that enters it. This is indiscriminate & quite often includes cats which have already been trapped, neutered & released back into the commumity by volunteers using the money donated by others. As the traps are left uncovered, it can result in an animal being trapped inside for up to 8 hours before being collected; that is 8 hours of being frightened, panicking, injury being caused because it is banging its head & body on the trap, desperate to escape. This procedure is inhumane & unethical. How can we stand by & watch another mammal suffer in such a horrific manner? And how can we allow them to be killed simply because they are an inconvenience? The Government sees this solution as a benefit to the community; they believe it allows for a clean up of the feral cat population before holiday season hits. However, this is not a long term solution — a new community of feral cats will simply arrive in their place. Unfortunately, the town hall regulations as they stand deny volunteers like Kelly & GAB the right to enter the urbanizations to trap, neuter & care for these animals. Surely it makes more sense to allow volunteers access to enable them to carry out these tasks? The money paid by the government to support the killing station would be better used in financing trapping & neutering, rather than killing defenceless animals. The costs of paying for traps & the people who set & collect them are expensive, far more expensive than providing funds to allow volunteers, people who care about animals as much as humans, to trap these animals & arrange for them to be neutered, vaccinated, etc. Please sign this petition to demand a change in Benalmadena, Spain, which is a large tourist resort frequented by thousands of British holidaymakers every year.